Many animals, such as poultry. livestock and fish have heavy requirements to choline. Choline prevents fat accumulation and denaturation of liver and kidney as well as perosis. Its shortage will result in a retarded growth, un co-ordinated movements, and poor fertility. Adding choline in the bait of all kinds of fish and shrimp, the growth of fish and shrimp will be accelerated, thus high yielding will be obtained, choline (commonly in the form of choline chloride) is one of the B category of vitamin, it is acetylcholine in the biological organization, it is the components of lecithin and nerve acid fat. It is used by most animals as a procures of acetyl choline, which influences the transmission of impulses from nerves to muscles, it is also used as a source of methyl groups, in feed, the content of natural choline chloride is limited. It cannot satisfy complete demand f the animal growing. 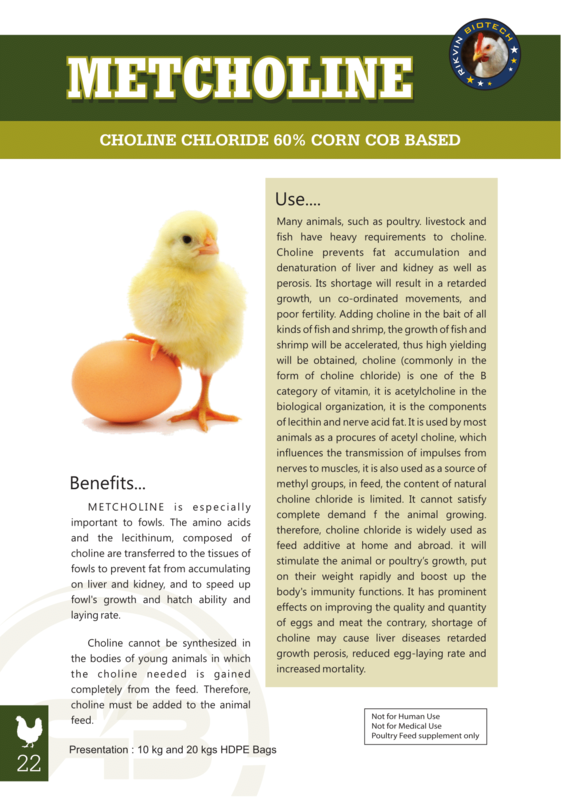 therefore, choline chloride is widely used as feed additive at home and abroad. it will stimulate the animal or poultry�s growth, put on their weight rapidly and boost up the body's immunity functions. It has prominent effects on improving the quality and quantity of eggs and meat the contrary, shortage of choline may cause liver diseases retarded growth perosis, reduced egg-laying rate and increased mortality. on liver and kidney, and to speed up fowl's growth and hatch ability and laying rate. 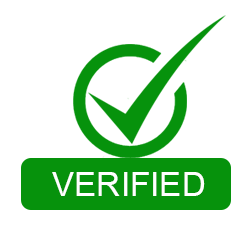 is gained completely from the feed. Therefore, choline must be added to the animal feed.